Do you like Valet Parking 2? Share it with your friends. 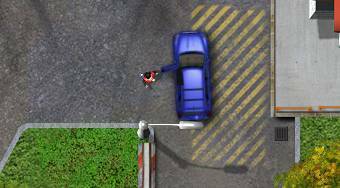 In the game "Valet Parking 2", you become a guy in a red vest, who works in a parking lot and parks various cars exactly on the spot, on which the owner of each car wants to have their car parked. As soon as a car arrives to your parking lot, immediately take the keys from the owner of the car and park the shiny vehicle on the required spot.